1. The Illinois Horse Racing Act of 1975, 230 ILCS 5/1 et seq. (“IHRA”) is intended to benefit the people of the State of Illinois by assisting economic development and promoting Illinois tourism. The IHRA declares it to be the public policy of the State of Illinois to: (a) support and enhance Illinois’ horse racing industry, which is a significant component within the agribusiness industry; (b) ensure that Illinois’ horse racing industry remains competitive with neighboring states; (c) stimulate growth within Illinois’ horse racing industry, thereby encouraging new investment and development to produce additional tax revenues and to create additional jobs; (d) promote the further growth of tourism; (e) encourage the breeding of thoroughbred and standardbred horses in this State; and (f) ensure that public confidence and trust in the credibility and integrity of racing operations and the regulatory process is maintained. 2. As set forth below, the IHRA permits certain wagering facilities to receive certain certified amounts from the purse accounts1 at the race track with which the wagering facility is affiliated. The State of Illinois is then required to replenish into the purse accounts the certified amounts transferred to the eligible wagering facilities. For the past 14 years, however, the State of Illinois has failed to replenish these purse accounts as required under the IHRA. This complaint seeks a declaration that Defendant is required annually to pay these certified amounts for payment into the purse accounts, and a writ of mandamus requiring such. 3. Plaintiff The Illinois Harness Horsemen’s Association is a not-for-profit corporation intended to preserve, promote and maintain harness racing in the State of Illinois. 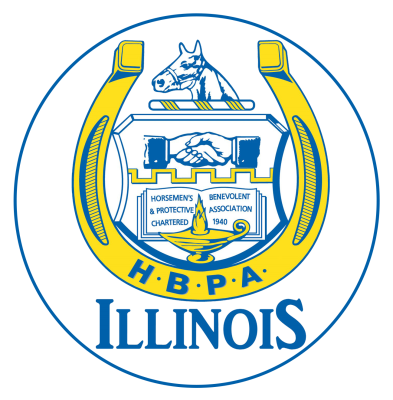 The Illinois Harness Horsemen’s Association is the legally recognized bargaining agent for harness (also known as standardbred) horsemen. It represents the owners, breeders, trainers, drivers and caretakers of standardbred horses in all matters before the Illinois Racing Board (“Board”). 4. Plaintiff the Illinois Thoroughbred Horsemen’s Association, Inc. is a not-for-profit Illinois corporation representing Illinois thoroughbred horsemen. The Illinois Thoroughbred Horsemen’s Association, Inc. is the legally recognized bargaining agent for thoroughbred horsemen. It is constituted by law to represent owners and trainers of thoroughbred horses vis-à-vis the Board and the Illinois tracks at which they race (negotiating the equitable share of simulcast revenues, overall track safety, sanitation, security and other issues). 5. Plaintiff The Illinois Horsemen’s Benevolent & Protective Association is an organization that represents horse owners and trainers in negotiating with race tracks regarding purse structure, equitable share of simulcast revenues, overall track safety, sanitation, security, and other issues. 6. The Plaintiff associations have “associational standing” in this action on behalf of their members because (1) their members have and continue to suffer direct economic injury by lowered purse accounts for horse races in Illinois, which adversely affect participants in each Illinois horse race (the top five winning participants receive a portion of the purse for each race); (2) the interests the Plaintiffs seek to protect are germane to their purpose, which is to represent horse racing owners, trainers, etc., and to promote and advocate for its members; and (3) the relief requested does not require the participation of individual members in the lawsuit. See Int’l Union of Operating Engr’s, Local 148 v. Ill. Dept. of Empl. Sec., 215 Ill. 2d 37, 47 (2004). 7. Plaintiff Michael Campbell is a licensed Illinois horse owner and trainer, and has been at all times relevant herein. 8. Defendant Susana A. Mendoza is the Comptroller of the State of Illinois. The Comptroller has offices in Chicago and Springfield. The Local Government Division of the Comptroller works with local governments throughout the State of Illinois, including local governments in Cook County. The Comptroller of the State of Illinois is the chief fiscal control officer for the State and has the power to order all payments into and out of the funds held by the State Treasurer. Defendant Mendoza maintains a registered agent for the purposes of service of process at 100 W. Randolph, Suite 15-500, Chicago, Illinois 60601. 9. The Court has personal jurisdiction over Defendant because she is a state official for the State of Illinois. 10. The Court has jurisdiction over the parties and this action because all parties are Illinois residents or citizens; the action involves the transaction of business within this State, the making or performance of any agreement or promise substantially connected with this State, and/or the acquisition of ownership, possession or control of any asset or thing of value within this State; the Defendants are granted powers to act as fiduciaries in this State; and/or because the Plaintiffs are Illinois corporations doing business within this State. 11. This court has subject matter jurisdiction for violations of the Illinois Constitution and violation of Illinois statutes. 12. Venue is proper in Cook County, Illinois because Plaintiff the Illinois Thoroughbred Horsemen’s Association, Inc. is headquartered in Cook County, and the majority of its members are doing business – horse racing – in Cook County, and Cook County is the county where the transactions or some part thereof occurred out of which the cause of action arose. In addition, Defendant Comptroller Susana A. Mendoza has a main office in Cook County. 14. The IHRA further provides that such wagering facilities are not entitled to any such payment until the Board certifies in writing to the wagering facility the amount to which the wagering facility is entitled and a schedule for payment of the amount to the wagering facility, based on, inter alia, “the need to ensure reasonable purse levels during the payment period.” Id. Annually, the General Assembly shall appropriate sufficient funds from the General Revenue Fund to the Department of Agriculture for payment into the thoroughbred and standardbred horse racing purse accounts at Illinois pari-mutuel tracks. The amount paid to each purse account shall be the amount certified by the Illinois Racing Board in January to be transferred from each account to each eligible racing facility in accordance with the provisions of this Section. 230 ILCS 5/26(g)(13) (emphasis added). 16. As set forth above, the amount paid to each purse account shall be the amount certified by the Board in January to be transferred from each account to each eligible racing facility. See id. 17. Despite the mandate set forth in the IHRA, the General Assembly has not replenished the purse accounts for the amounts certified by the Board in over 14 years. Specifically, the Comptroller has not paid the certified amounts from the General Revenue Fund to the Department of Agriculture for payment into the purse accounts. 19. However, the General Assembly never appropriated the above amounts from the General Revenue Fund for payment into the purse accounts, and/or the Defendant failed to order payment of these funds, despite being statutorily required to do so. 20. As a result, the purse accounts and purses are lower than they would otherwise be, resulting in lower valued monetary prizes to Plaintiffs’ members and the individual plaintiff. 21. The General Assembly’s failure to appropriate these funds, and/or the Defendant’s failure to order payment of these funds, is both illegal and in express violation of the IHRA. 22. Plaintiffs re-allege paragraphs 1 through 21 as if fully set forth herein. 23. There exists an actual, immediate, and justiciable dispute between the Plaintiffs, on the one hand, and the Defendant, on the other hand, as required under 735 ILCS 5/2-701. 24. Pursuant to 735 ILCS 5/2-701, the Court may, in cases of actual controversy, make binding declarations of rights, having the force of final judgments, whether or not any consequential relief is or could be claimed, including the determination, at the instance of anyone interested in the controversy, of the construction of any statute, and a declaration of the rights of the parties interested. 25. Because the statute provides that the General Assembly shall appropriate the monies each year, separate annual appropriations are not required under the appropriations doctrine of the Illinois Constitution. A. Enter judgment declaring that Defendant Mendoza is required annually under the IHRA to order payment of sufficient funds from the General Revenue Fund for payment into the thoroughbred and standardbred horse racing purse accounts at Illinois pari-mutuel tracks. B. Enter judgment declaring that Defendant Mendoza is required under the IHRA to replenish the purse accounts for the any and all amounts certified by the Board in January 2018. C. Enter judgment declaring that Defendant Mendoza’s failure to appropriate from the General Revenue Fund the amounts certified by the Board for payment into the thoroughbred and standardbred horse racing purse accounts at Illinois pari-mutuel tracks violates the mandate in 230 ILCS 5/26(g)(13). D. Grant Plaintiffs such further relief as the Court deems just and proper. 26. Plaintiffs re-allege paragraphs 1 through 21 as if fully set forth herein. 27. The Defendant has a duty to uphold and comply with the requirements of the statutes and other laws enacted by the State of Illinois. 28. Defendant Mendoza has failed or refused to order payment from the General Revenue Fund for payment into the thoroughbred and standardbred horse racing purse accounts at Illinois pari-mutuel tracks, in violation of 230 ILCS 5/26(g)(13). 29. Because the statute provides that the General Assembly shall appropriate the monies each year, separate annual appropriations are not required under the appropriations doctrine of the Illinois Constitution. 30. Defendant’s duties are both ministerial and nondiscretionary, and Plaintiffs have a clear right to the performance of such duties. Any demand for the performance of such duties would be futile. A. Issue a writ of mandamus compelling Defendant Susana A. Mendoza, Comptroller of the State of Illinois, to comply with the provisions of 230 ILCS 5/26(g)(13). B. Issue a writ of mandamus compelling Defendant Susana A. Mendoza, Comptroller of the State of Illinois, to order payment of any and all amounts certified by the Board in January 2018 for payment into the thoroughbred and standardbred horse racing purse accounts at Illinois pari-mutuel tracks. C. Grant Plaintiffs such further relief as the Court deems just and proper. 1 Purse accounts hold the money allocated for the Horsemen’s “purses,” i.e., the money won by the owner of any competitor in a race.